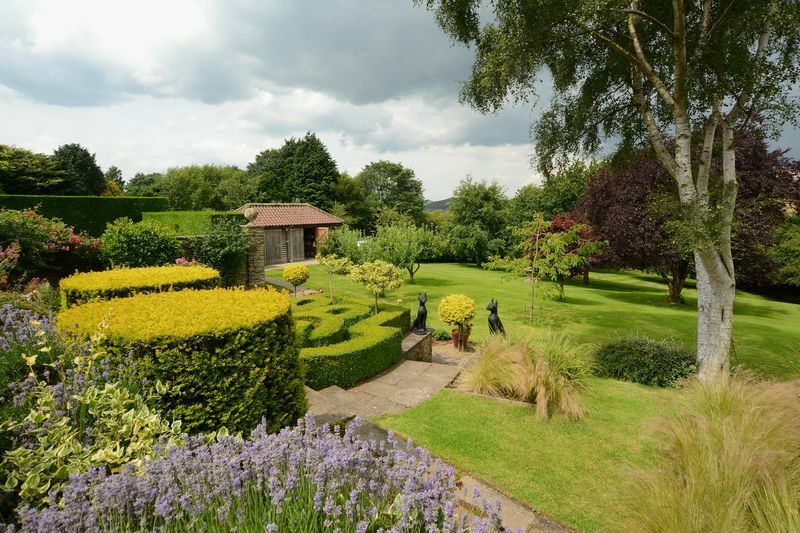 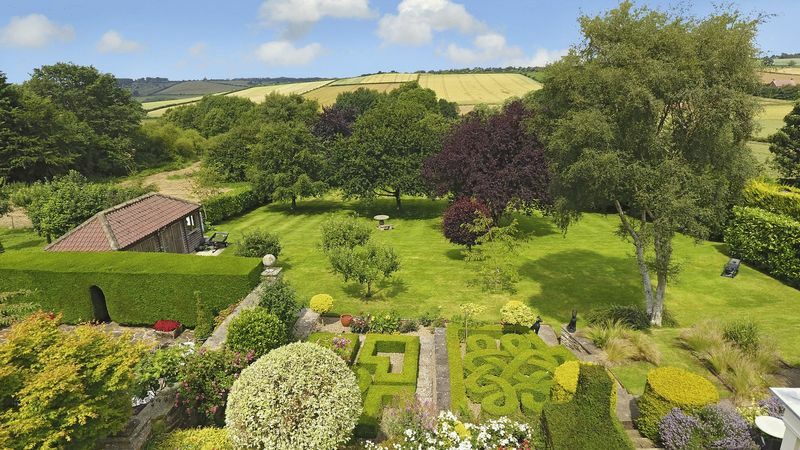 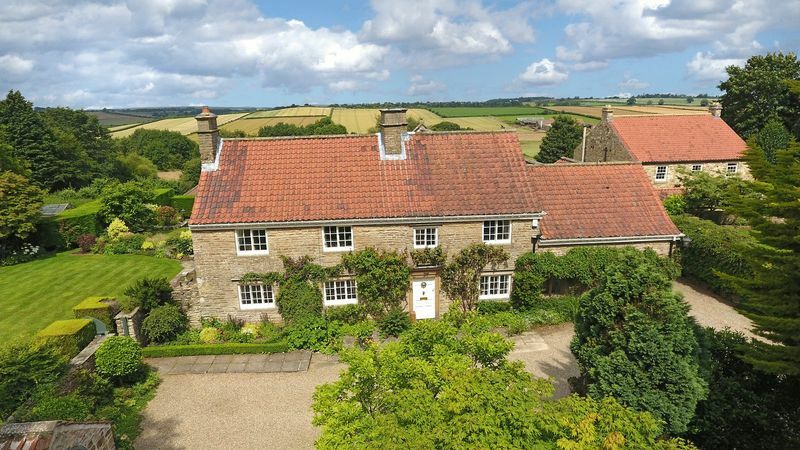 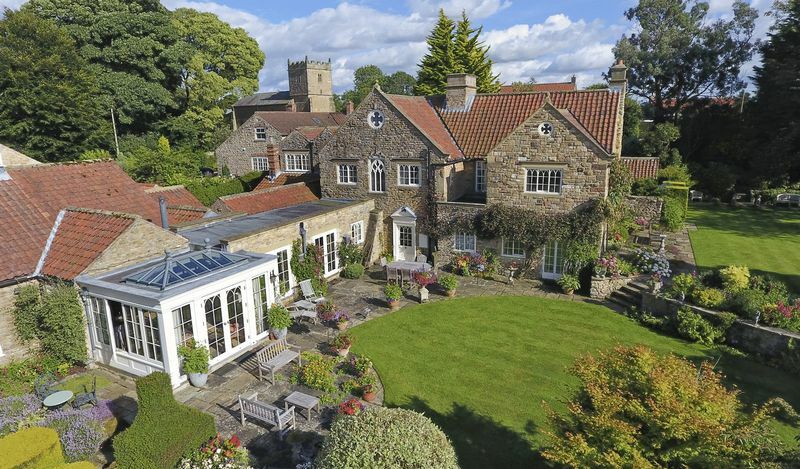 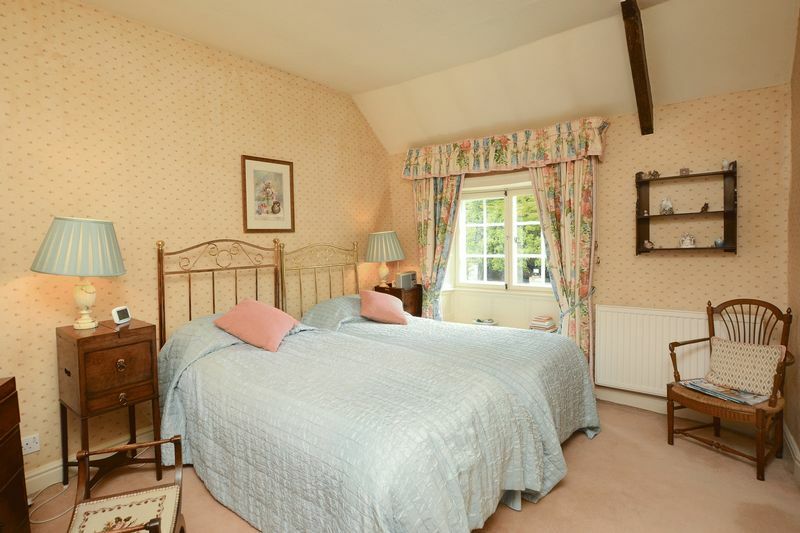 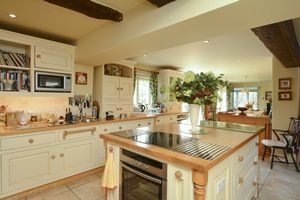 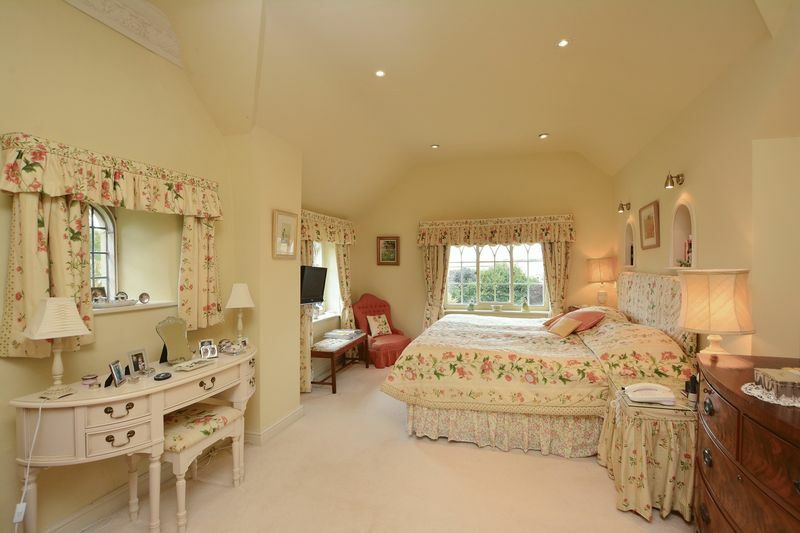 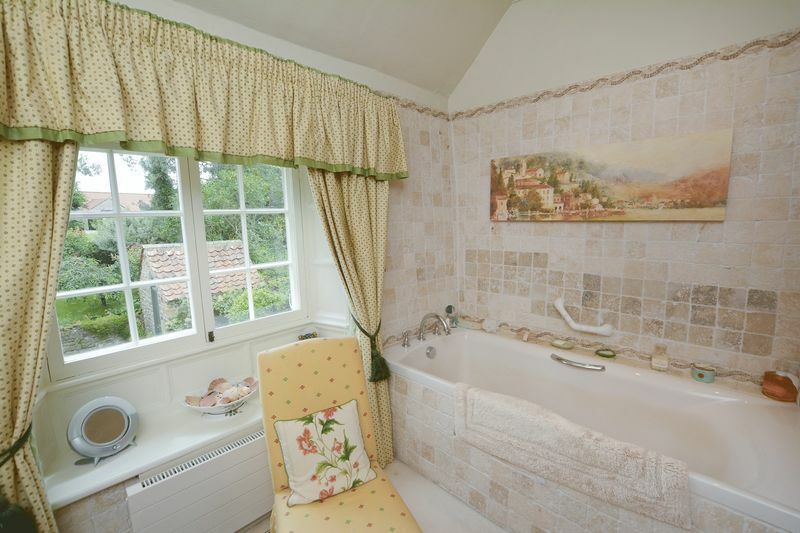 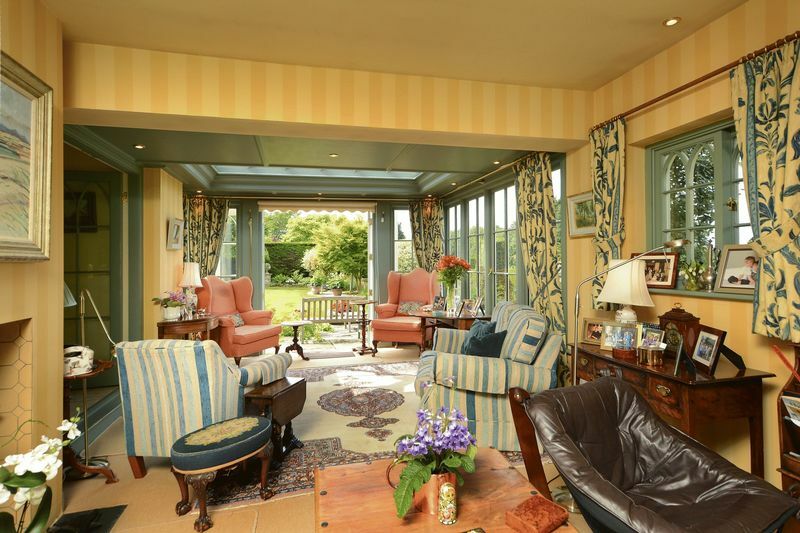 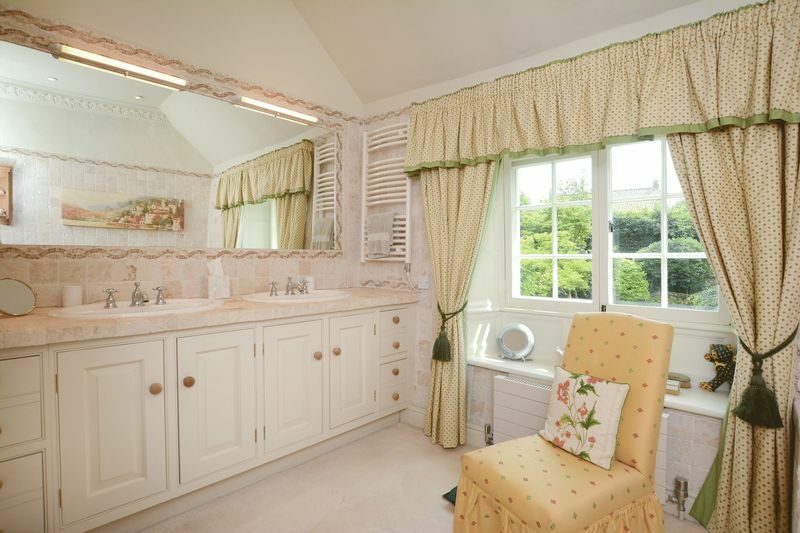 Magnificent manor house in glorious Howardian Hills setting with annexe and beautiful gardens. Lobby, reception hall, drawing room, dining room, study, wc, garden lobby, kitchen breakfast room, utility room, boot room, garden room. Annexe with entrance hall, 2 bedrooms, wc, bathroom. 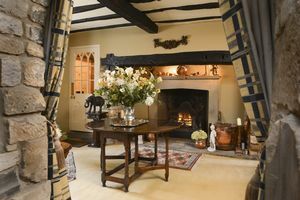 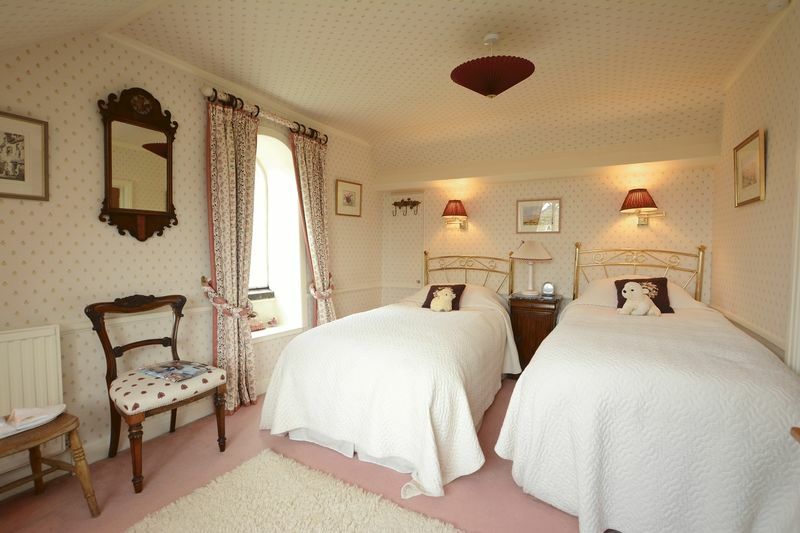 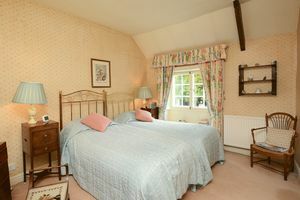 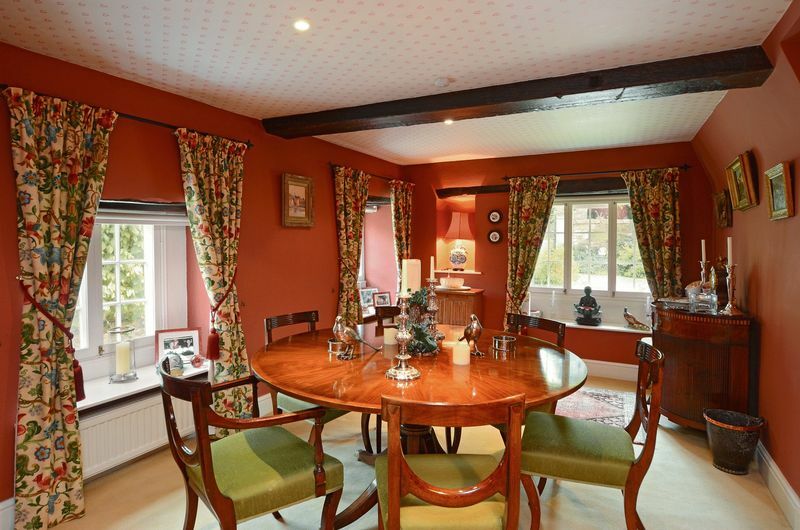 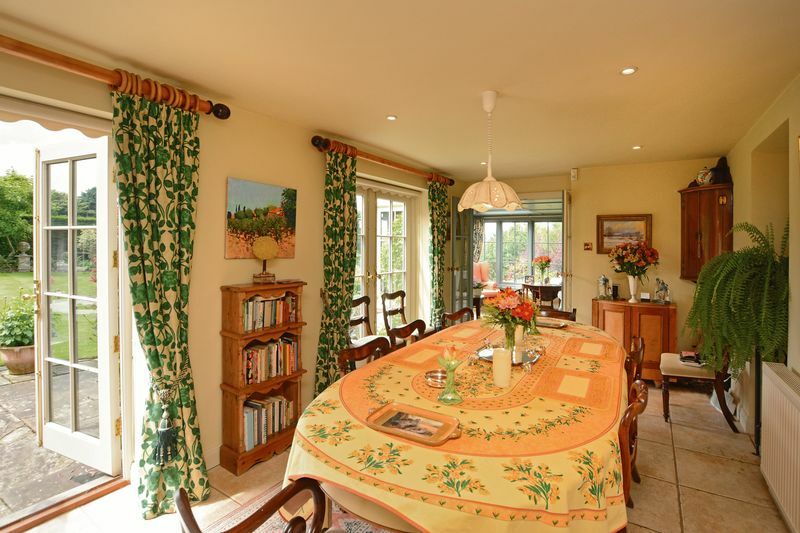 The Manor House is an extraordinary period house of great individuality and character. 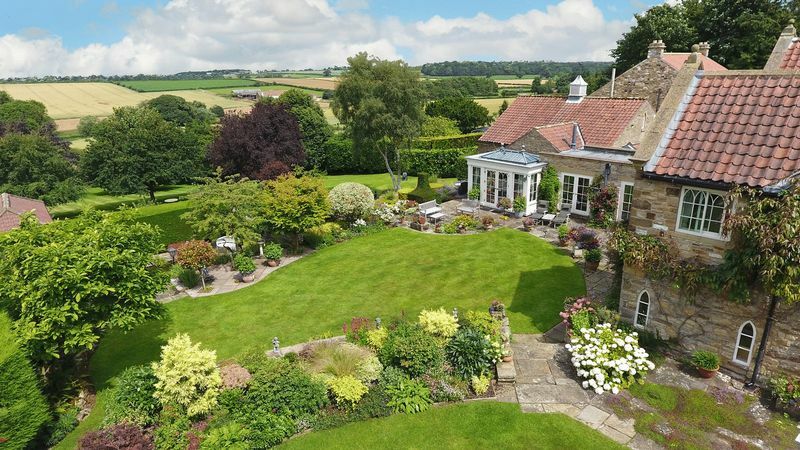 It enjoys a setting of unparalleled beauty with the rolling countryside of the Howardian Hills stretching uninterrupted beyond the exquisitely lovely gardens. Unusually for a village house it enjoys significant privacy. The older part of the house is believed to date from the 16th Century with significant Georgian additions. 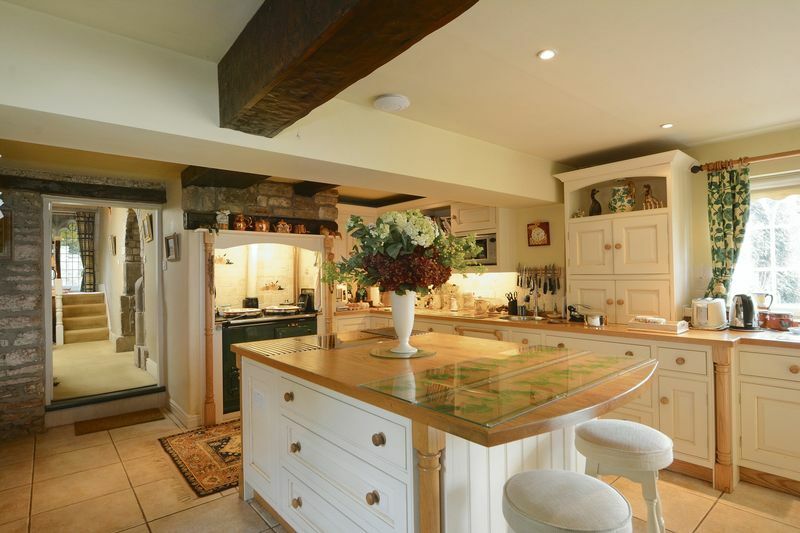 The kitchen and other domestic offices lie in a more recent extension and their layout and design are of a more contemporary configuration, making for an easily manageable and flexible open plan living space. •	The kitchen – which takes full advantage of its west facing position – has a tiled floor, LPG gas fired 2-oven Aga, recessed ceiling lights and island unit housing a hob and oven with breakfast bar. 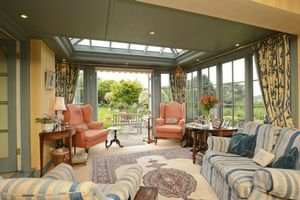 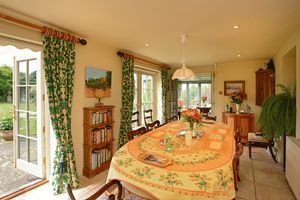 This area opens to the breakfast room with matching tiled floor from where two sets of French doors open to the terrace. •	The west facing glazed garden room has French doors to the terrace and offers splendid views over the gardens towards open countryside beyond. 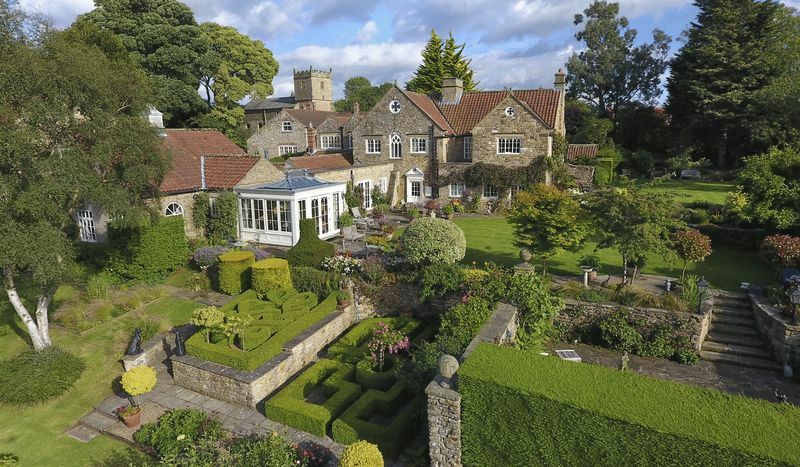 The property lies behind a stone wall and is approached across a short driveway leading to wrought iron gates set between impressive stone gateposts. These open to a gravelled driveway and turning area directly in front of the house. 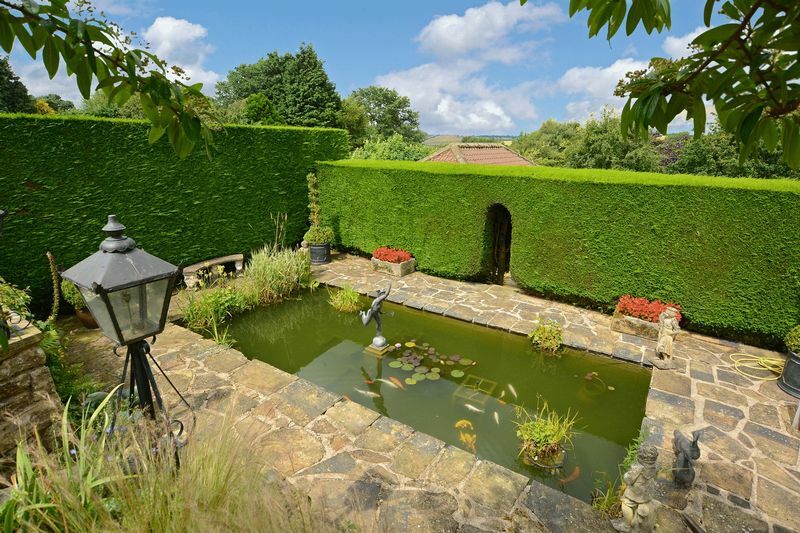 The property is protected by a high stone perimeter wall within which is a well stocked front garden and brick and pantile garden store. The driveway leads past the side of the house to boarded double gates which open to a rear courtyard. Here is a timber-framed covered parking area from where a covered walkway leads to the boot room. 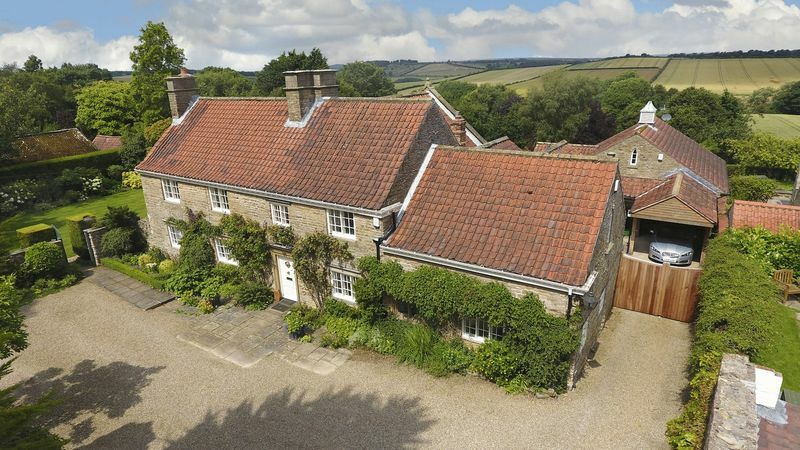 Beyond is a substantial attached stone and pantile garage with up-and-over door and storage area. The gardens lie predominantly to the west and north of the house. 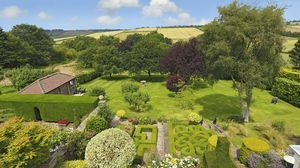 Wide stretches of lawn bounded by well stocked borders and sunny stone-flagged terraces are connected via stone walls and steps, clipped yew hedges and lavender. 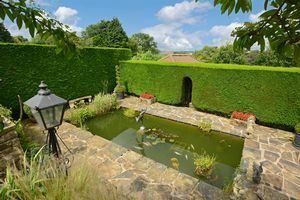 A knot garden of clipped box topiary lies adjacent to the garden room. 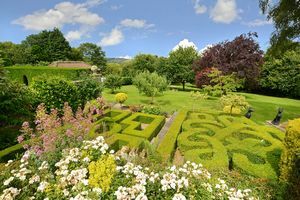 The lower garden principally comprises an area of lawn interspersed with a variety of specimen broadleaved trees. 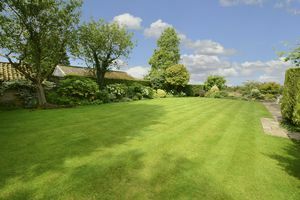 To the far end, a gate gives access to an enclosed paddock of about 2.33 acres currently laid down to grass and terminating at a small spinney with the northernmost boundary being marked by a small stream. 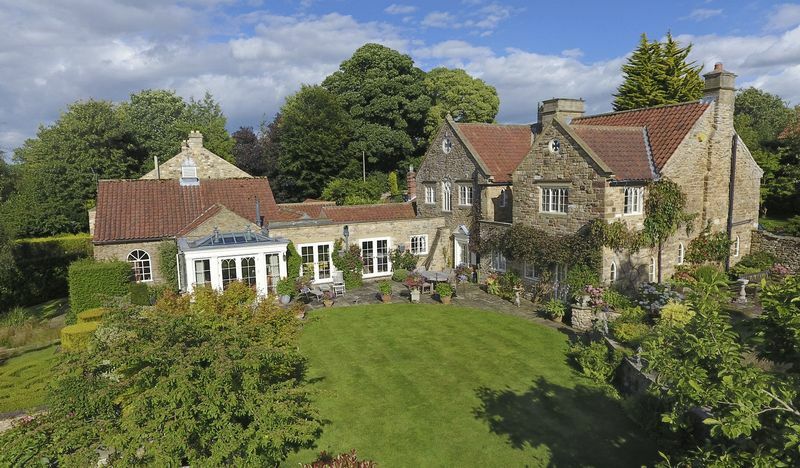 Bulmer village lies on high ground in the Howardian Hills, an Area of Outstanding Natural Beauty. Welburn and Sheriff Hutton provide many good local facilities, including primary schools and an excellent farm shop at nearby Castle Howard. 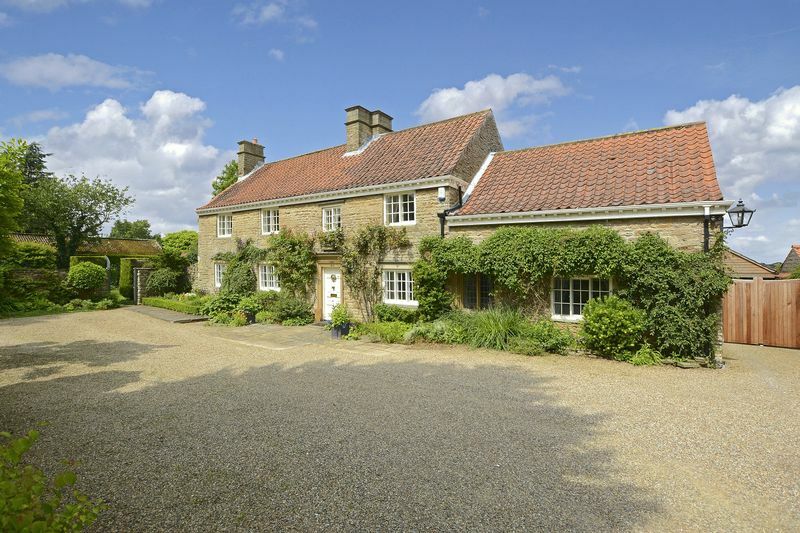 There is also a private preparatory school in Terrington. 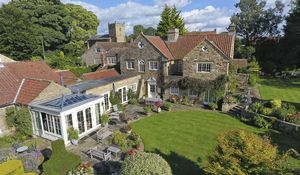 To the north lies the charming market town of Malton, ‘Yorkshire’s food capital’, with its schooling, and railway station connecting to the main line at York from where there are regular services to London. 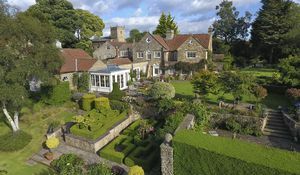 York itself lies about a half hour drive to the south via the A64 trunk road which offers rapid access to York, the urban conurbations of Yorkshire and the wider motorway network. 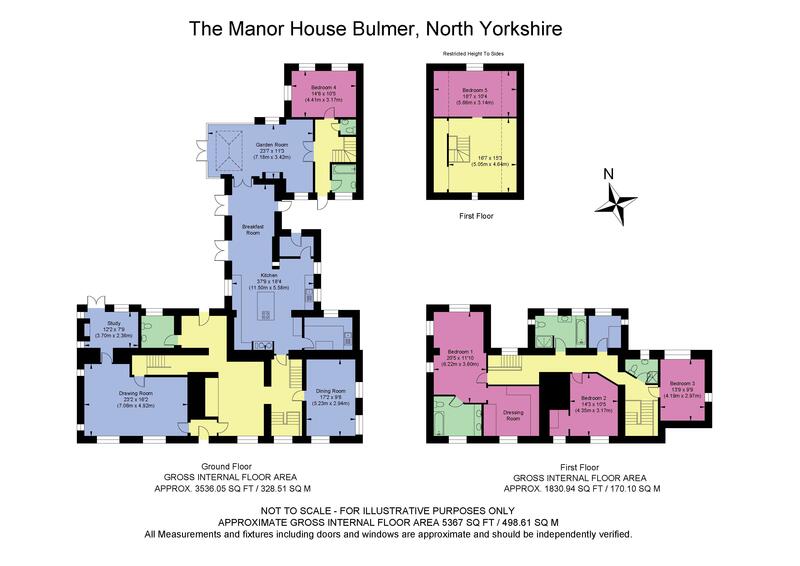 Directions: Approaching Bulmer from the east, from the direction of Castle Howard, proceed into the main street and almost immediately after passing the Church on the left the entrance to The Manor House is on the right hand side.